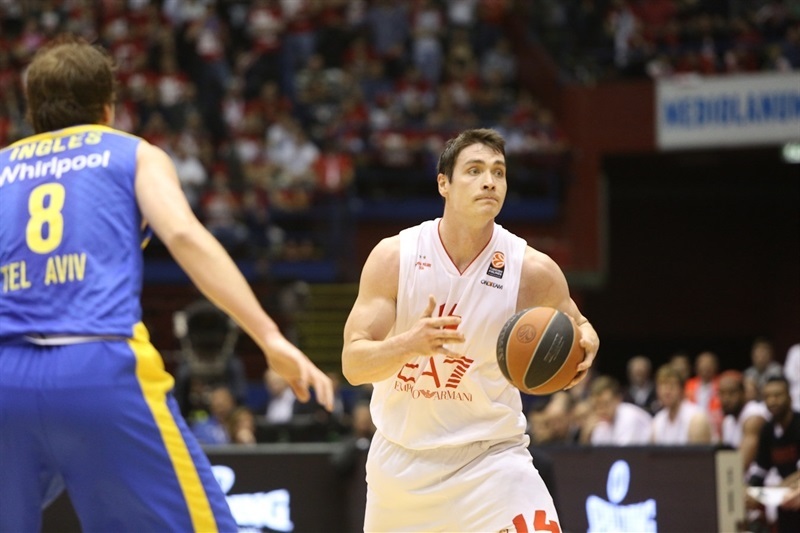 EA7 Emporio Armani Milan bounced back from a tough overtime loss just 48 hours earlier, leading from start to finish to beat Maccabi Electra Tel Aviv 91-77 in Game 2 of their best-of-five playoff series at the Mediolanum Forum, site of 2014 Turkish Airlines Euroleague Final Four. 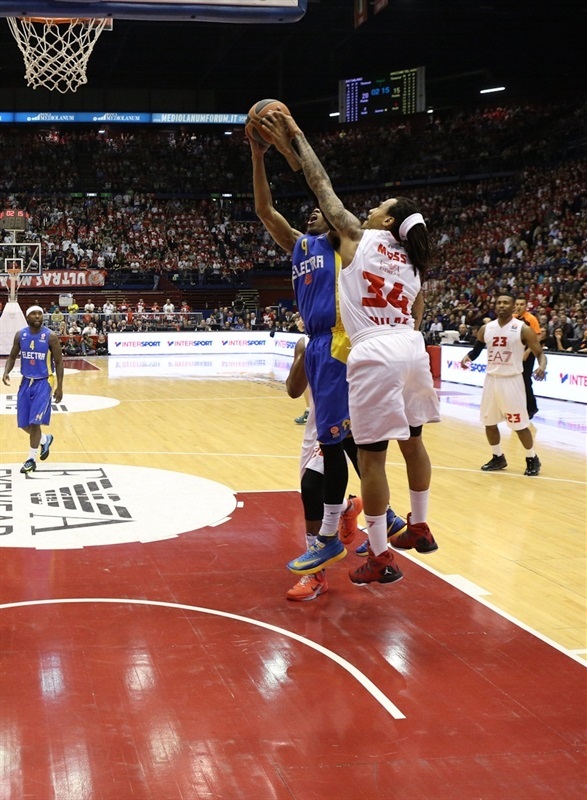 Friday’s victory was the first for Milan in the Euroleague playoffs this century, and tied the series at 1-1. With Daniel Hackett running the offense, Milan used a 9-0 run late in the first quarter for a 25-15 lead, and behind 10 second-quarter points from Kristjan Kangur went into halftime up 47-34. 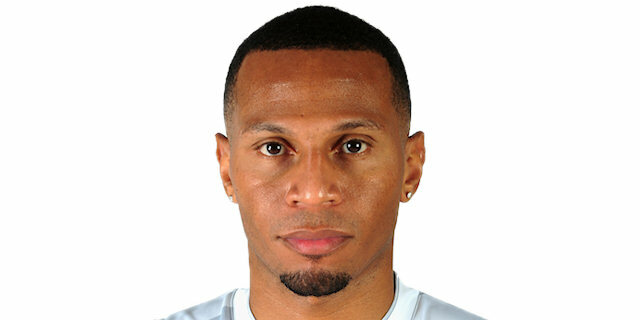 After the break, Curtis Jerrells took over, pacing the hosts to an 18-point margin in the fourth quarter, as there was no comeback for Maccabi this time. Milan again had six scorers in double figures. 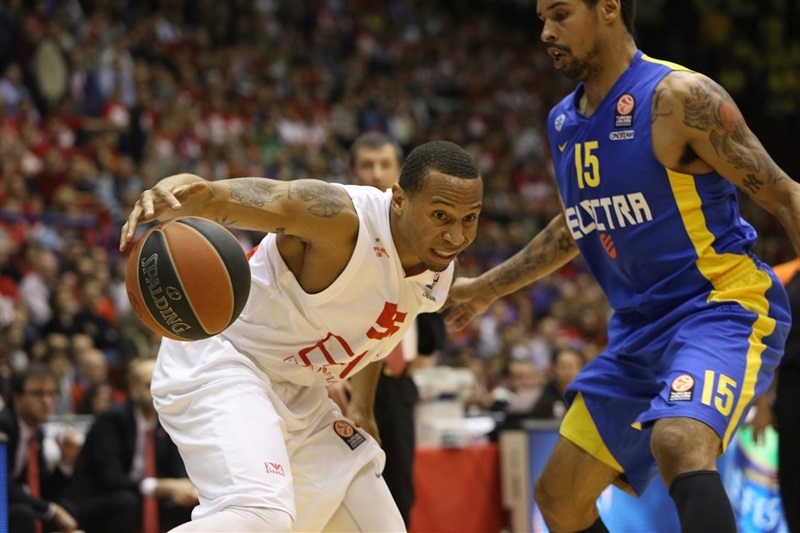 Jerrells scored 12 of his 17 points in the second half, and dished 6 assists. Kangur and David Moss scored 13 apiece, Keith Langford added 12, while Samardo Samuels and C.J. Wallace each scored 10. Hackett collected 9 points and 9 assists in victory. 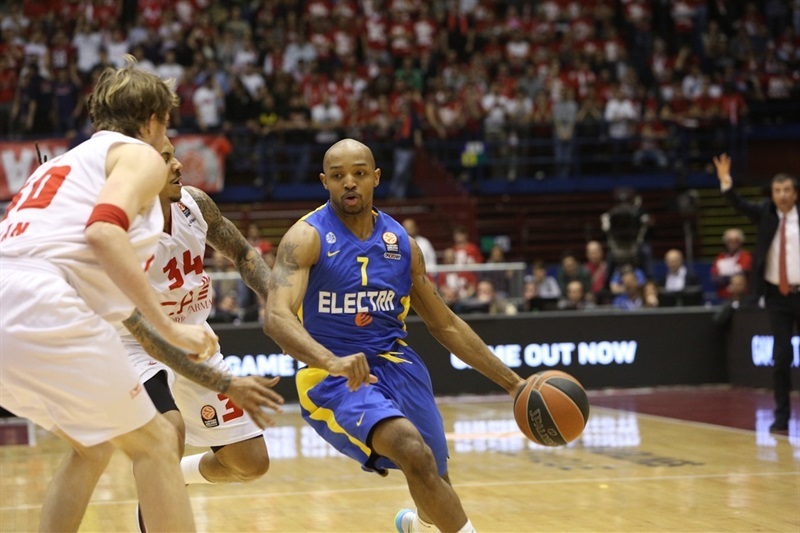 Alex Tyus paced Maccabi with 16 points, using big minutes after Sofoklis Schortsanitis was injured in the first quarter. 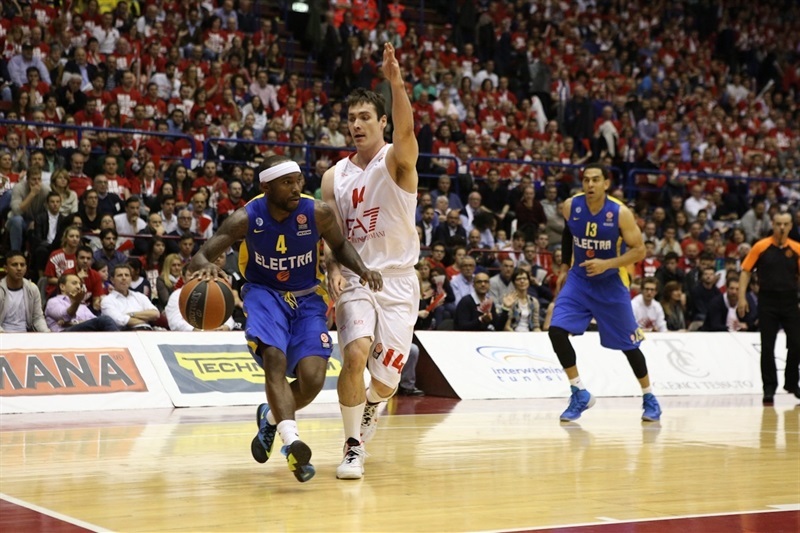 David Blu netted 12, and Tyrese Rice scored 10 for Maccabi. A wide-open triple from David Moss started things right away, and after Devin Smith’s layup, Hackett hit a jumper to make it 5-2. 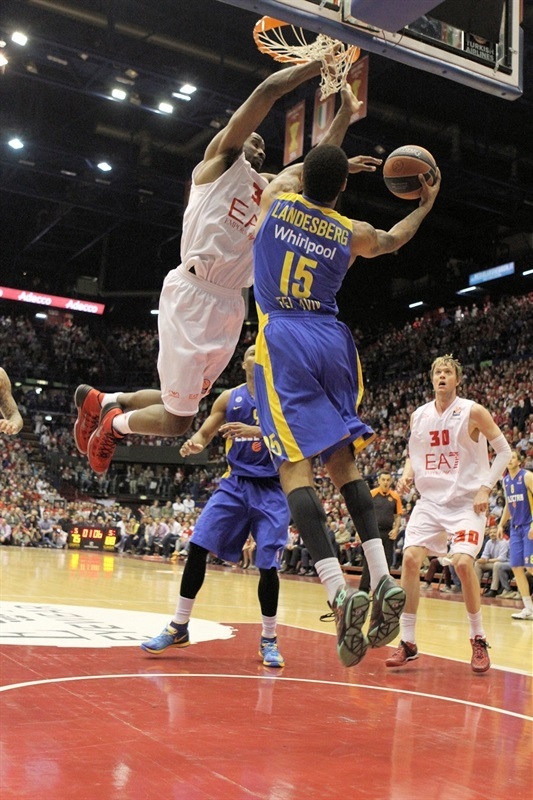 Milan got everyone involved early, as Samardo Samuels muscled his way inside and Langford hit a short jumper. Yogev Ohayon sank a corner triple for the visitors, but Langford nailed one from downtown for a 12-5 lead. 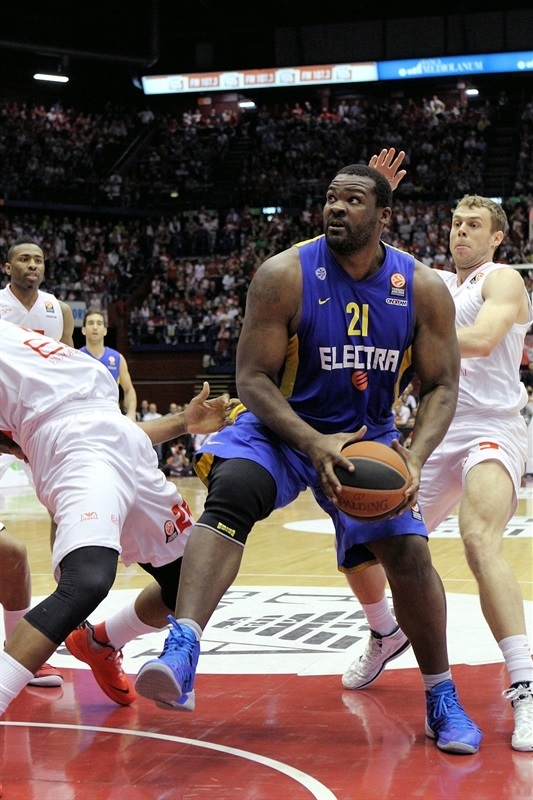 Schortsanitis, coming off the bench, powered his way for a layup-plus-foul on his first possession on the floor. 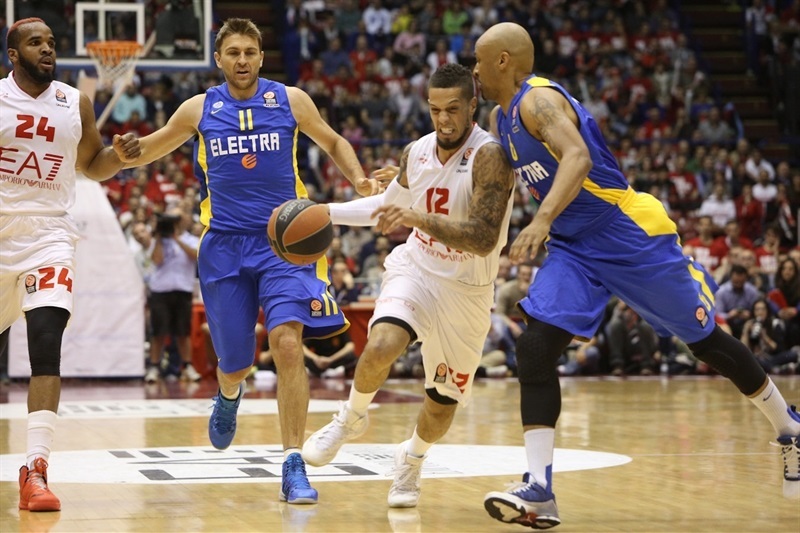 Maccabi made a switch to a matchup-zone, hoping to slow down Milan’s offense, and after Samuels hit a baseline jumper, David Blu nailed a three-pointer to bring his team within 14-11. Maccabi took a hit when Schortsanitis limped off the floor after making a defensive play midway through the first quarter, but his substitute Tyus made an alley-oop layup getting Maccabi within 16-15. 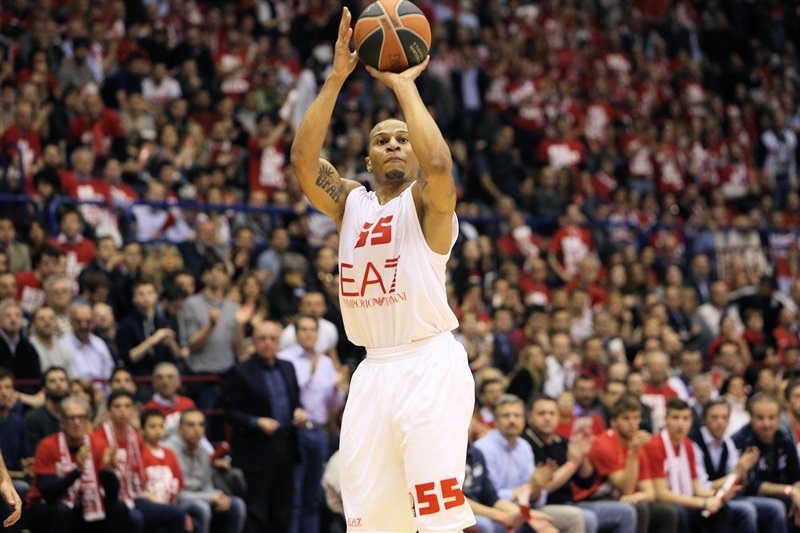 But Milan held on to its lead, and extended it to double digits with C.J. Wallace scoring from close range and Moss adding a layup-plus-free throw, before Langford capped a 9-0 run with a fastbreak layup. Schortsanitis made a brief return, before committing his second personal foul. A dunk from Tyus made it 25-17 at the end of the quarter. Sylven Landesberg made a pair of baskets and Guy Pnini drove in a floater to make it 25-23. 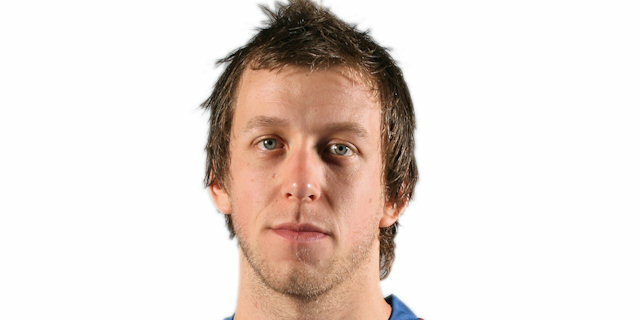 Hackett knocked down a long jumper from the corner and Curtis Jerrells nailed a triple to give the hosts more breathing room. After Andrija Zizic hit a mid-range jumper, Kangur sank a jumper-plus-free throw for an 8-point edge. Kangur also scored a hook-shot inside, before Rice and Pnini hit free throws for Maccabi, while Jerrells and Gani Lawal did the same for Milan at 39-30. Tyus banked in a shot from two meters, but Kangur regained a double-digit lead for the hosts, burying a corner triple for a 42-32 advantage. Tyus was the only visiting player scoring from the floor with a put-back, but Bruno Cerella answered with a wide open three-pointer from the left corner for an 11-point margin. 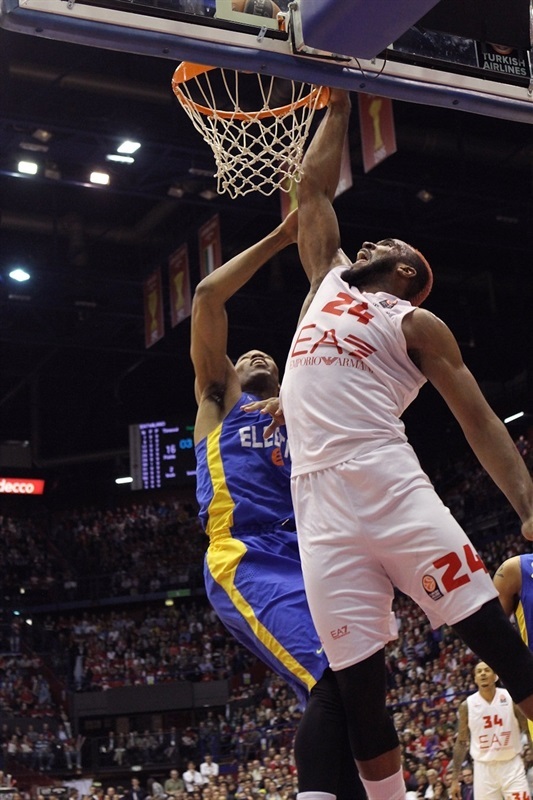 After a Maccabi timeout, Kangur’s put-back on one end, and Lawal’s block at the buzzer on the defensive end, put Milan in front 47-34 at halftime. Tyus made couple of baskets from close range, but Langford and Kangur answered each time from downtown to pump the difference to 53-38. 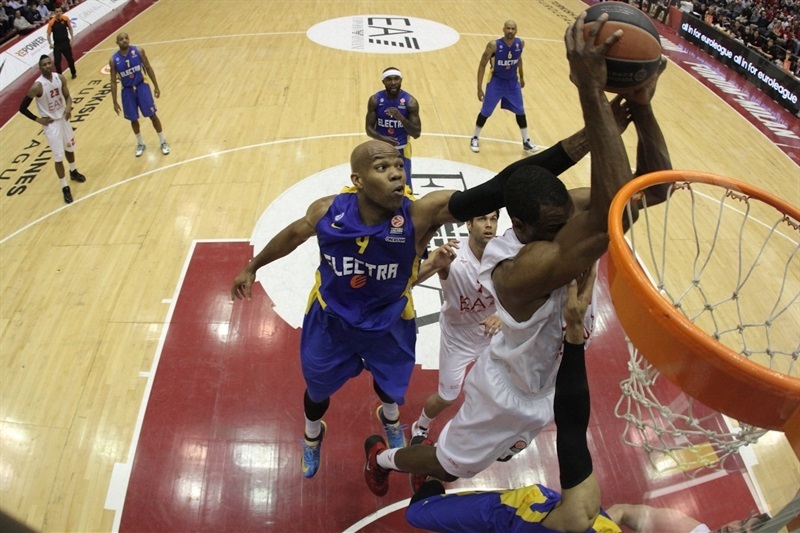 Blu had a put-back for Maccabi, but Moss nailed a triple, and followed it with a jumper as the margin reached 58-41. Rice drove to the basket, then used a technical foul to sink 3 free throws, before Ricky Hickman’s split foul shots cut it to 59-47. Hickman drove to the basket against Milan’s zone defense, and after Samuels made 4 of 4 from the foul line, Ingles nailed a triple from the right corner at 63-52. Blu followed it with a long jumper, but Jerrells restored a double-digit lead with a three-pointer in the last seconds to make it 66-55. Jerrells used a steal to set Nicolo Melli up for a big fastbreak dunk, but Blu knocked down a triple to keep Maccabi in the hunt at 68-58. Wallace and Jerrells answered right back with back-to-back triples, and after a Maccabi timeout, Jerrells drove for a layup that made it 76-58. Hickman and Ingles scored for the visitors, but Jerrells drove for a big dunk. However, Milan could not relax after the experience from Game 1, especially after Smith sank a three-pointer, and Hickman raced for a fastbreak layup. 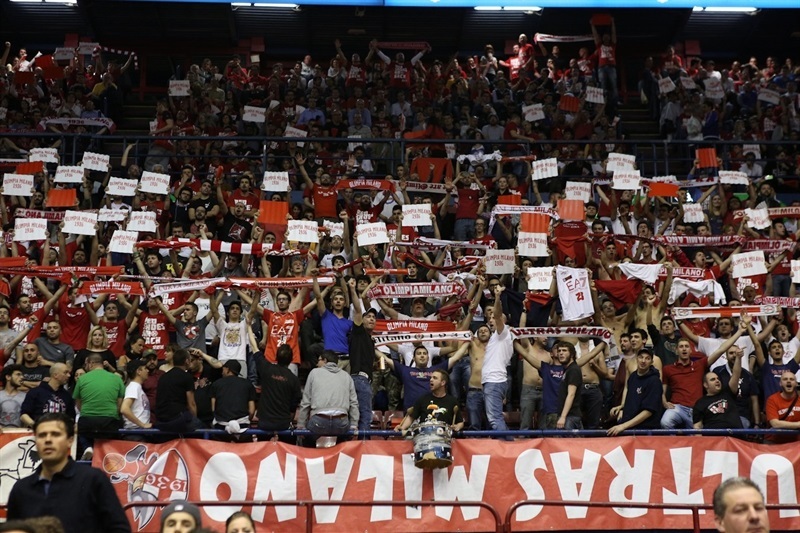 More layups, from Rice and Landesberg got Macabbi within 81-71, but Wallace nailed another triple to seal the deal at 86-73, as the packed crowd at Mediolanum Forum celebrated a historic victory. 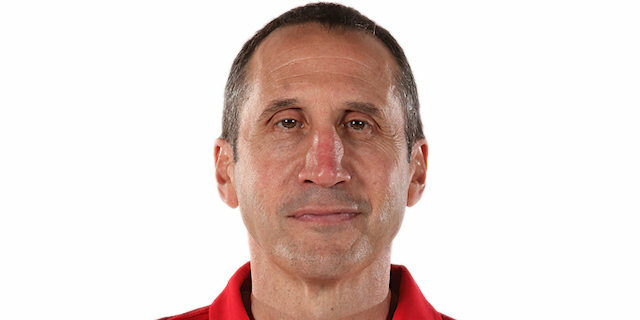 "I have to congratulate my team, because we played with a great approach and continuity, keeping Maccabi at distance every time they tried to come back. Our energy remained the same for all 40 minutes. All the players went on the court had a positive plus/minus, we came to the court to get the opportunity to play two games in Tel Aviv and we did it. Our opponents have many weapons and playing on their home court won't be easy because they raise their level in front of their crowd. We have to play with great euphoria in the next games, and try to use every possession to reach our goal." 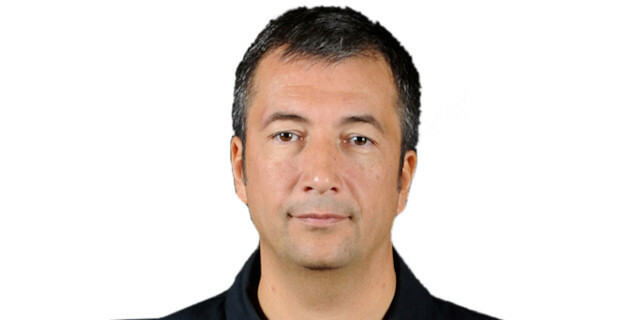 "Congratulations to Milan, they played a good game and deserved to win. Two things for sure today: Milan has been a better team, and we are leaving exactly how we wanted to leave beautiful Italy. Every game is different and with different dynamics, and now we'll go back home and we'll work on our game to be better in the next one. 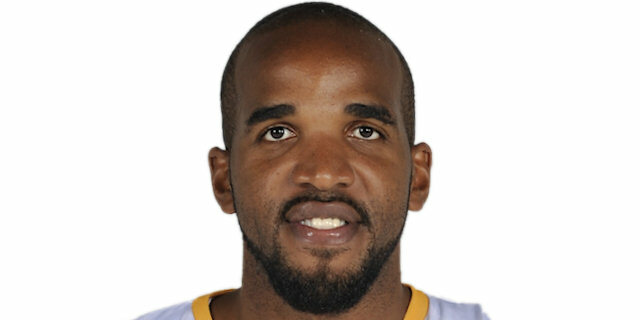 Obviously the injury to Schortsanitis changed how we play, but we could do better in a lot of other things." "I was sure that this team would react in the right way, and we did. A great game, great intensity, teamwork and all our energy on the court. Now we'll go to Tel Aviv with all our confidence back, I trust we can do it!" "It was a great night. We played together with amazing intensity; we wanted to get the win and not repeat the same mistakes and now we're ready to go to Tel Aviv without fear. Defense and moving the ball were our keys tonight and we just have to keep playing together. " "I'm unhappy now, but coming to Tel Aviv with the home-court advantage is very good for us, and we will try to do our job in front of our fans. It will increase our confidence. We had a bad shooting night, so we have to improve that and try to contain their incredible potential from long distance."